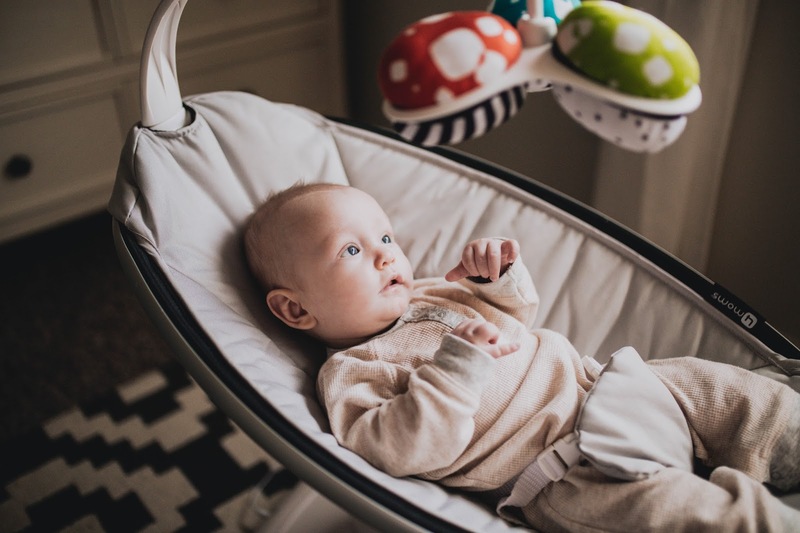 One product that I would highly recommend to any expecting friends is a mamaRoo infant seat! Being a mama of two is difficult at times and I have to make sure and give both of my boys the attention and love they deserve. Whenever Zaden wants to play legos or power rangers the mamaRoo comes in handy so Adrien is entertained and can keep an eye on us while we play! 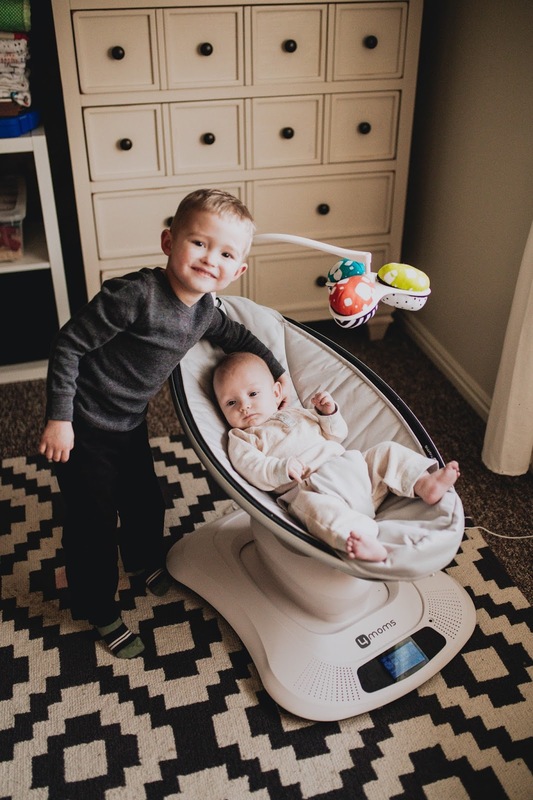 The mamaRoo has five options that replicate natural motions parents use to comfort their little ones. Adrien's personal favorite is the 'car ride' motion. Our mamaRoo also comes in handy for naps during the day or setting Adrien down while we cook dinner! The seat has an adjustable incline we can change depending on Adrien's mood. The seat fabric is easy to remove and machine washable which comes in handy if it ever gets dirty! 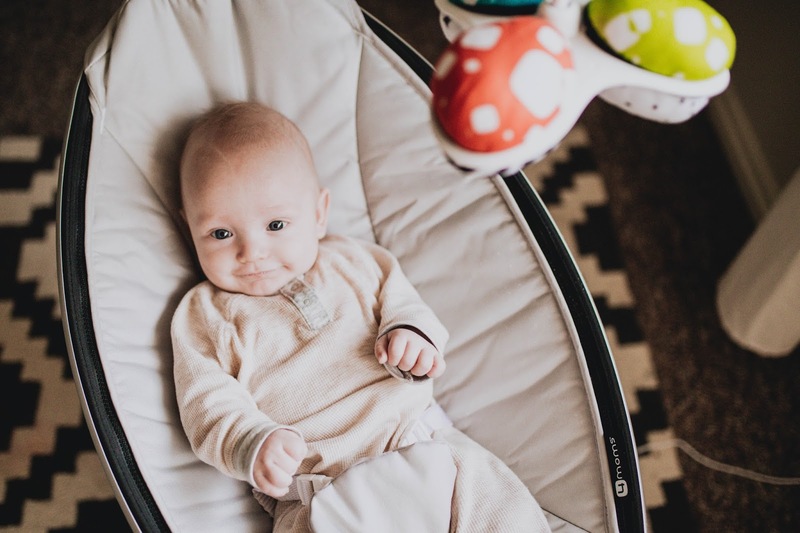 Luckily for us, Adrien hasn't had an explosion while in the mamaRoo, but it's reassuring that we can simply take it off and wash it if needed! We chose the grey classic cover but there are five awesome options if grey isn't your choice of color. A really cool feature the mamaRoo has is it's built in Bluetooth! I love that I can control and change the speed, motion, volume, and music with my 4moms app on my iPhone. 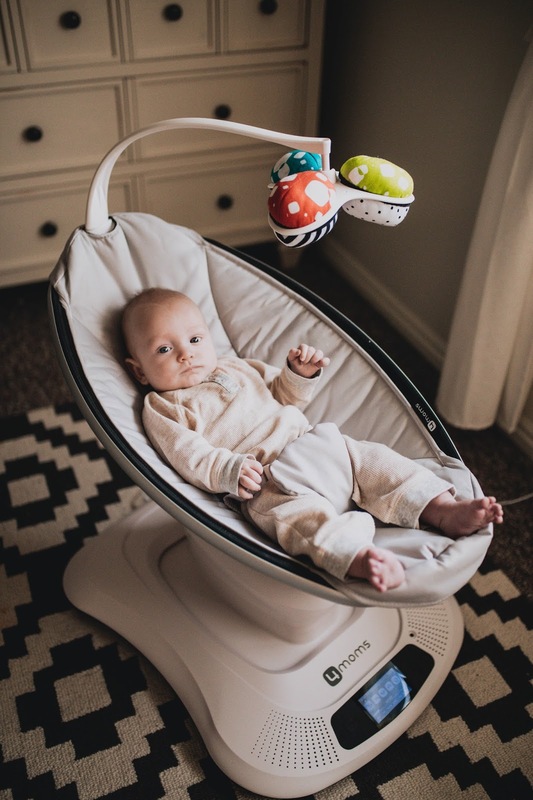 The mamaRoo also includes built in white noise sounds which make it a very relaxing and peaceful seat for Adrien. I love that there's an option to plug in my phone or any other MP3 device to play different lullabies and music as well. 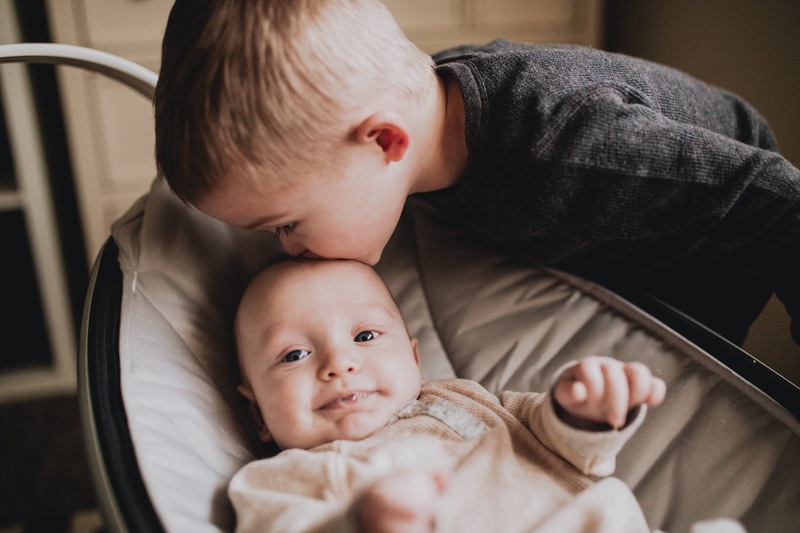 We absolutely love this seat and it has been a game changer in our family! Be sure to check out 4moms for all of their other awesome baby gear and to check them out on social media.